Honestly, I have had a few insane games before especially when I get into a tank and sometimes as infantry (mainly sniper) when I play with my best weapons....and in a good squad with a medic. 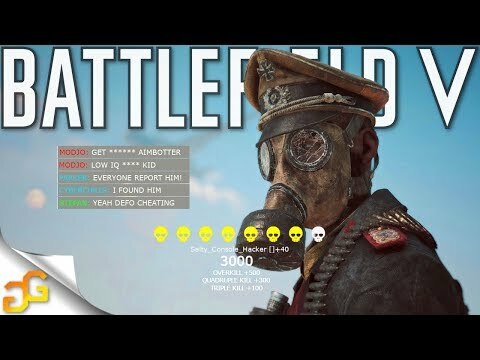 Part of the enjoyment in the game for me is playing with all of the guns and learning each play style so I don’t always do this...Give me the Gewehr 1-5, the Suomi or MP-40, the Lewis Gun, or the ZH-29 and I can do very well with those guns and have received salty messages and have been accused of cheating before. I remember a breakthrough match on Hamada a while back where I had something like a 72-17 match playing with the ZH-29 and a Churchill tank and I got revived several times...even a blind squirrel finds an acorn every now and again...I’m a decent player but by no means the best. Sometimes though I meet a team who’s particular weakness is my play style. Other times I have to try a few different things to find what works. Also, I think Part of what’s neccessary for a monster game is a decent other team and a game that plays for a long time. Otherwise when your on a team beating the other team badly, you don’t have the time to rack up that many kills nor the players pushing the objectives and areas where your most likely to get the kills. You need a team ALMOST as good as your team....which makes sense that your guy had those rounds in back to back games. He found a team almost as good as yours and one that was particularly weak to his play style, and he was probably “in the zone” and if playing with you in a good squad...sometimes the stars do align for a great match. I think there are a lot of players out there who cannot fathom how somebody could attain those scores like you said 68-15 but it is very possible ESPECIALLY when everything comes together. You have eyes in every direction, get revived sometimes when you go down, and have 3 other players watching your back, etc. I think this game is much more centered around squad play and this is a new concept for many players. It would be extremely difficult for someone to have a 68-15 game lone wolfing in a bad squad. Much more possible in previous games but not this one. You called it. He was using the ZH-29, and we had 2 Supports in our squad. The game was very back-and-forth, just like you said. Yes, yes, yes. Everyone who’s ever said “that’s bs, how did he know I was there” needs to read that list. I’ve gotten messages from salty players I’ve killed in a window somewhere while driving a tank....I mean really? Half of the time your rifle barrel is sticking out of the window and the other half of the time I guessed and shot a round in a window where players always camp and got lucky. Next prediction....I’m already hearing the future cries that the new mosquito plane will need a nerf. I was playing on twisted steel tonight after getting it leveled up to 4 and it’s ridiculously powerful against tanks and ground infantry. I probably took out 8 tanks that match with the 6PDR and the 4000lb bomb and had several multikill bomb drops of 5 or more on the bridge at E and B. They basically had no armor the entire match. Luckily I had a great spitfire pilot keeping other bf109’s off my tail that made all this possible....which is another piece people can’t grasp...teamwork. Great video! It was amazing how patient that guy was, especially on the E flag of Rotterdam, when he had so many options for enemies to kill. I would have freaked out and shot directly between every pair of enemies, hitting nobody! Some people are just really, really good (which is a combo of skill and smarts). Guy in the video was poetry in motion at times. Also, insane that people jump to conclusions so quickly. It's disheartening. Not to belabor the point but we can look up the round and see how many revives he received. Touché. So what did you determine through your data analysis?